AUGUSTA, GA – Augusta University will bring Deborah Wiles, renowned author of “Love, Ruby Lavender,” “Aurora County All-Stars” and “Each Little Bird That Sings,” to visit 5th grade students and AU preservice teachers at Lake Forest Elementary on Monday, March 12. Wiles’ recent book, “Countdown,” a work of historical fiction is set in 1962 during the Cuban Missile Crisis, is part of the school’s curriculum this year. She will make two presentations and answer questions from Lake Forest Hills Elementary students and AU preservice teachers. “For schoolchildren, meeting people who have successful careers demystifies their work and creates an access point to new pursuits. For our preservice teachers who are learning about using children’s literature to teach reading, Wiles reminds us that reading is thinking, and that we can imagine and create texts that address our needs in all sorts of innovative ways,” said Dr. Kim Barker, professor of education in the Augusta University College of Education. The visit is part of the Augusta University College of Education’s ongoing partnership with schools in the area. Lake Forest Hills is one of three professional development model sites for undergraduate teacher preparation, at which education students are embedded at a school to provide authentic experiences in implementing teacher preparation coursework. Barker received a $1,200 grant to support her research into the use of multi-genre texts such as Wiles’ 60’s trilogy that includes “Countdown,” another book called “Revolution” and a third on the way. “Anyone who’s around kids much knows that they are experts at multitasking as they gather information. I can’t tell you how many times I’ve seen my own children watching a movie and looking up background information on their phones at the same time. Often they are fact-checking and looking for (and sharing) information on actors, locations and background context while they watch,” Barker said. But Wiles created a new format called a documentary novel. The format blends fact and fiction to help readers immerse themselves in history and helps them to learn. 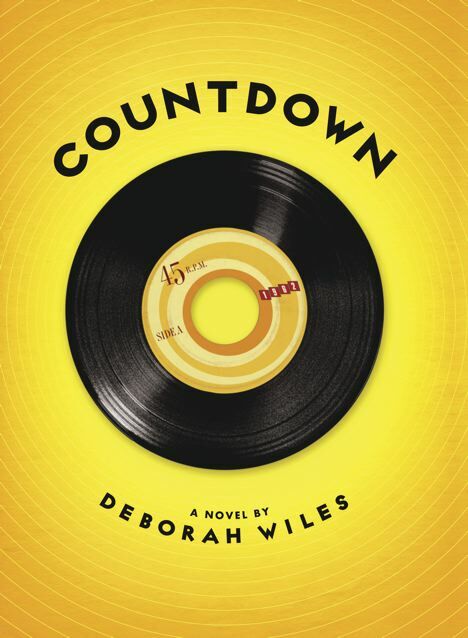 Wiles’ novel, “Countdown,” is a novelization of the Cuban Missile Crisis told from the perspective of an adolescent girl in suburban Maryland just outside Andrews Air Force Base. Relating this historical political predicament through the experiences of a protagonist who is around the same age as the intended readers encourages students to engage with the work and unlocks new pathways in the mind for retaining information. “Multi-genre literature such as Wiles’ Sixties Trilogy incorporates the information-gathering habits of young readers by blending historical fiction with primary source content, such as political cartoons, song lyrics, photos and newspaper headlines. It’s like reading a story and having a scrapbook to go along with it,” Barker said. Deborah Wiles an award-winning author and two-time National Book Award finalist. She earned her Master of Fine Arts in writing from Vermont College, and has taught writing techniques for Towson University and Lesley University. She lives in Atlanta, Ga.